This is a sponsored post. Dairy Farmers of Canada compensated me financially to write it, however, all opinions are my own. I’ve been a big fan of all things dairy forever! Some of my sweetest holiday memories are of Mom bringing out containers of delicious butterhorns from the freezer at Christmastime. 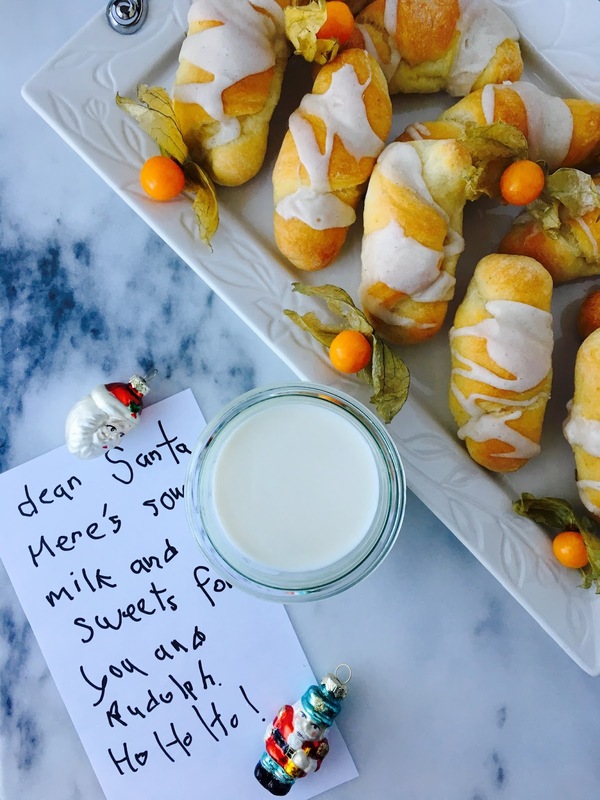 Over the holidays, we'd enjoy them with our breakfast and a cup of good coffee, and I could barely wait until they had lost their chill before biting into one. In the evening, they went great with a glass of cold milk while we watched such holiday classics as Christmas Vacation. 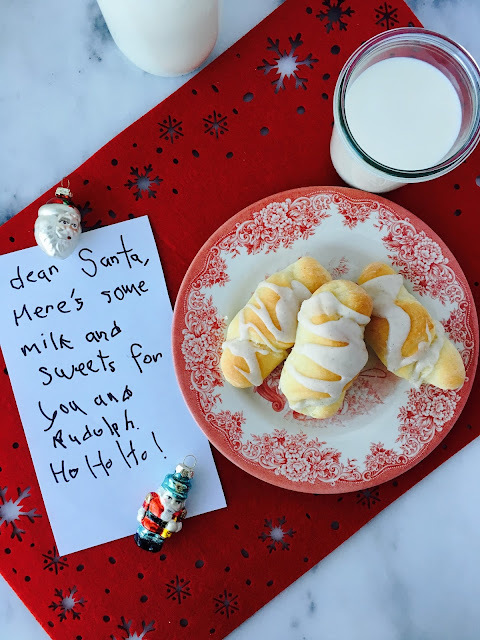 When I was a little kid, Santa and Rudolph were never far from my mind as I left some butterhorns and glasses of milk out for them - just in case they needed some Christmas Eve refreshments. 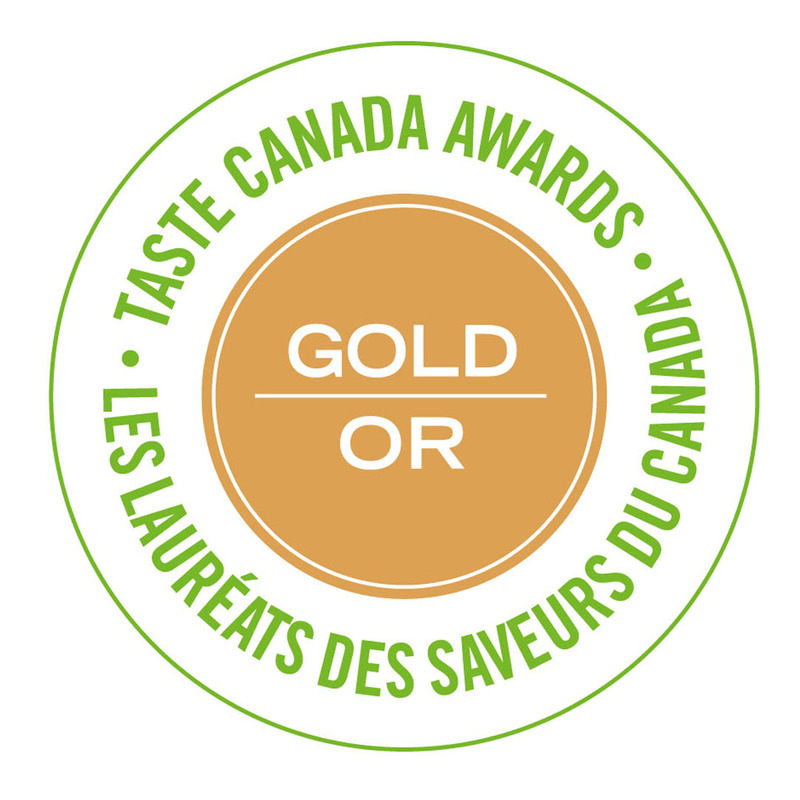 A glass of ice cold Canadian Quality Milk is refreshing and delicious, especially when accompanying something sweet and made with love in the kitchen. Nibbling on a butterhorn (or two!) and drinking a glass of milk is one of my favourite things to do over the holiday season. And I know I’m not the only one! 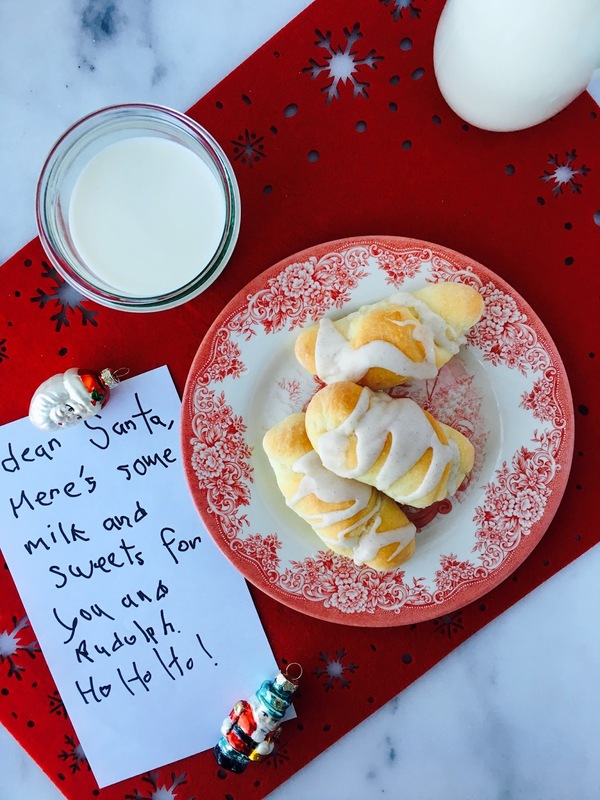 Canadians love the taste of milk - whether it’s in their morning cereal or creamy porridge, in a cup of creamy hot cocoa, enjoyed with their evening meal or with some cookies and other baked goods as they wait for Santa on Christmas Eve. Dairy Farmers of Canada created this super sweet video celebrating the love of milk over the holidays, and I hope you love it as much as I do! The cat, in particular, is so cute - and oh man, I think my cats love milk as much as I do! Milk is a versatile beverage and I can’t imagine my holiday season without it. 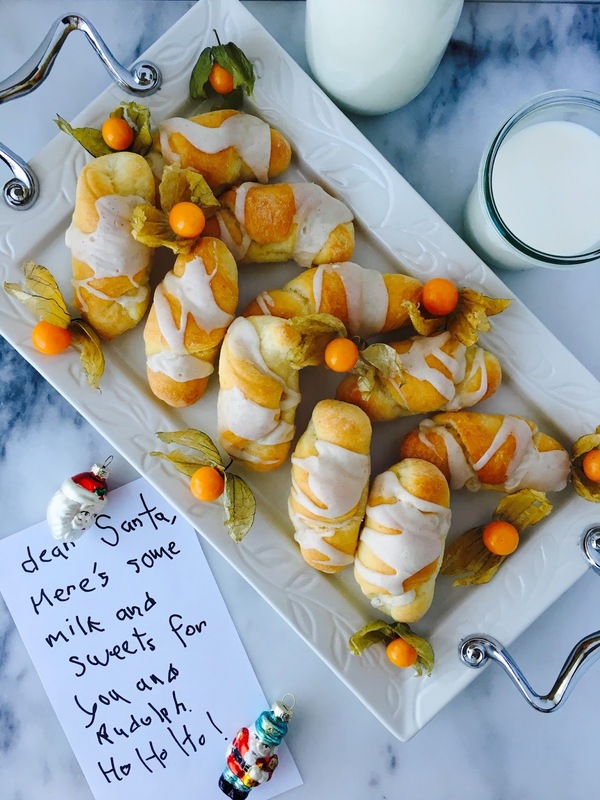 Being a professional pastry chef, milk is a staple ingredient in my refrigerator at home and at work, and in my holiday baked goods - including these butterhorns. What makes butterhorns so special? The sweet yeast dough is rich and soft (thanks to the whole milk), and yes, it’s buttery and light. First, milk is heated just to the point of steaming, then eggs, sugar and yeast are whisked in. The yeast will bubble and froth and that’s how you know it’s working. This milk mixture is then poured into a flour/butter mixture and kneaded until smooth. The dough is refrigerated overnight, then the next morning you are ready to roll! The hardest part is waiting while the butterhorns rise for about 2 hours after you roll them out. Make sure your kitchen is warm and toasty. Once they hit the oven, they don’t take too long to bake. While still warm, they get drizzled with a mixture of icing sugar, whole milk and vanilla. 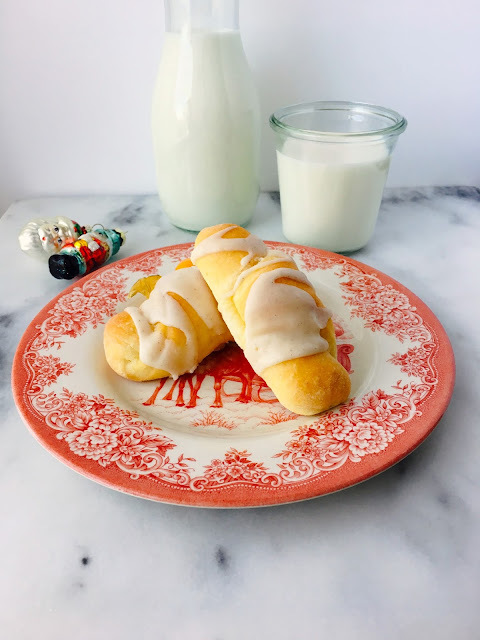 The vanilla drizzle complements the butterhorn ever so well, and once you eat one, you can’t wait to grab another. 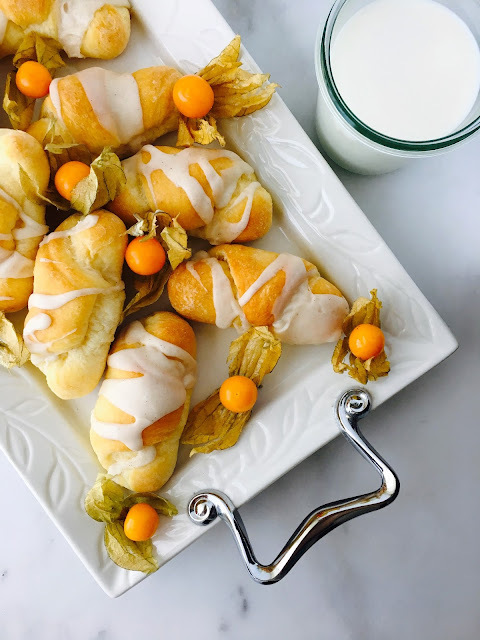 The butterhorns are luscious and light and remind me about all that is wonderful during holidays - family and friends, fine food and drink (including milk, of course! ), fond memories of years gone by, and hope and sweet tidings for the future. Christmas is a time when we can all feel like a kid again, and for you and yours, I hope it is a season filled with so much joy your heart just might burst. For more ideas on how to incorporate milk throughout the holidays, and to learn more about Dairy Farmers of Canada’s commitment to making milk so delicious and refreshing, visit their wonderful YouTube page. To make the butterhorns, mix together the flour and salt in a large bowl. Cut in the butter using a pastry blender, mixing it well, but leaving some pea-sized bits of butter. Heat the milk in a medium saucepan over medium-high heat just until it begins to steam. Remove the milk from the heat and let it cool just until it’s warm to the touch. Mix the eggs and sugar into the warm milk and stir in the yeast. Let this stand, uncovered, for 10 minutes. Stir the yeast mixture into the flour mixture and mix until a soft dough forms. You may need more flour if the dough is too soft. Cover with plastic wrap and refrigerate overnight. The next day, remove the dough from the fridge and lightly dust your countertop with flour. This dough is best rolled cold. Cut the dough into 3 evenly-sized pieces and shape them into balls. Roll each ball into a disc about 1/8 inch thick and about 10 inches in diameter. Cut each disc into 8 triangles. Roll each triangle tightly, from the wide end to the point. Place seam side down, about 3 inches apart, on the prepared baking sheets. Cover them lightly with wax paper and let them rise for 2 hours in a warm, draft-free spot. Preheat the oven to 375°F. Place the rack in the lower third of the oven. on the top and bottom. Remove the pans from the oven and let them cool on a wire rack for about 13 minutes while you make the glaze. To make the glaze, whisk together the glaze ingredients in a medium bowl. Once the butterhorns are barely warm, drizzle the glaze over them. I find a fork works really well for this. The butterhorns will keep in an airtight container for up to 2 days at room temperature, or can be frozen after they are glazed for up to 1 month. Makes 2 dozen butterhorns. Renée, I made these over the holidays and they were delicious. Thanks for the post. Happy New Year! Happy New Year, Marie! So glad you like the butterhorns! You’re so right about the video. These are delicious too, by the way. Made them Christmas Eve and enjoyed them with coffee Christmas morning. Thank you for the recipe. Thanks so much, Danielle! I hope you loved the butterhorns as much as I do! They were a such a lovely treat for the holidays! 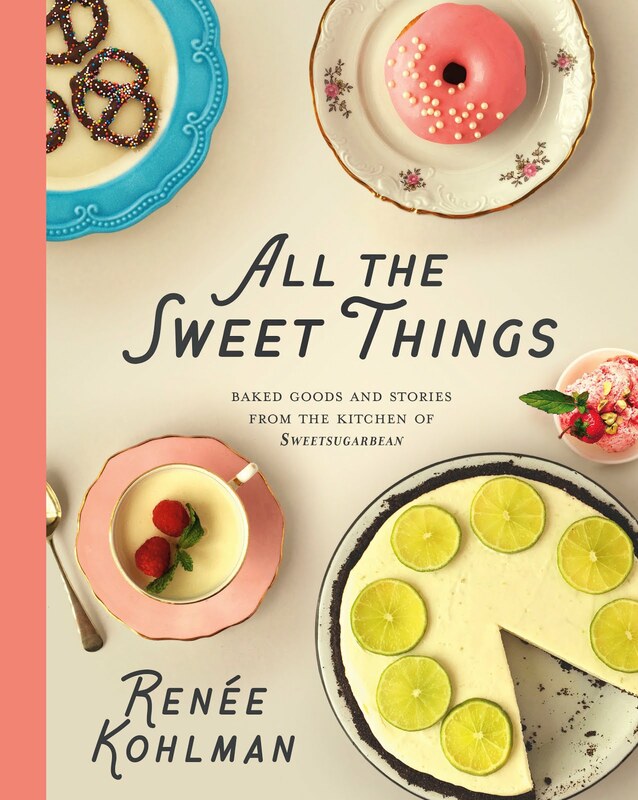 Not too sweet, not too rich. Nice and light and buttery! I very much enjoyed them!! Thank you for posting them! Thank you so much! These are perfect for the holidays, aren't they? !